What could be greater and more fun for our young friends who want to discover the underwater world? 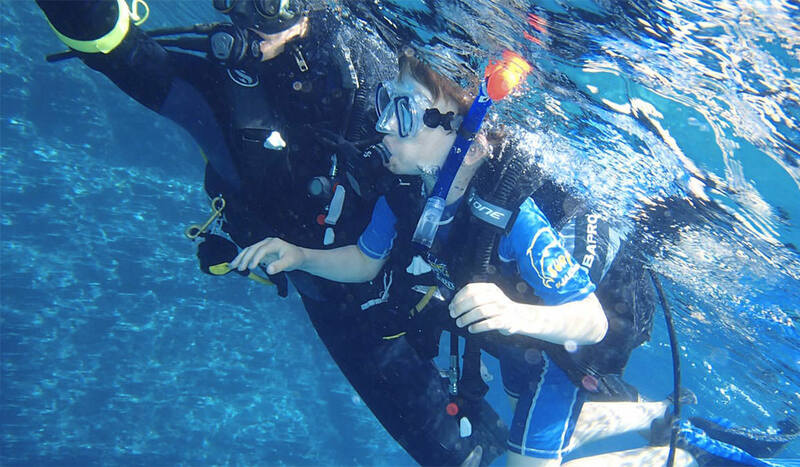 During the PADI Bubble Maker program kids will get to be introduced to scuba diving in total safety, under the direct supervision of a PADI instructor, at a shallow and protected beach. A typical session could last about 60-90 minutes. What you will learn in the SEA U diving center in Folegandros: Under the guidance of a PADI instructor our young friends are going to take their first breath underwater and learn how to use the basic scuba diving equipment, specially fitted for children. Prerequisites: The kids should be 8 to 10 years old to participate at this program. No prior experience in diving is needed.